We all know that client consultations are very important, but did you know that it is actually a legal requirement to perform a consultation before every treatment, even for regular clients? Did you also know that failure to do this could invalidate your insurance could leave you hundreds of thousands of pounds in debt should they make a claim against you. When it comes to regular clients, it’s all too easy to skip the consultation all together, after all, you know them and they know you, right? Wrong – it only takes something going wrong on one of their visits and they have a lawsuit against you. Not only would this damage your reputation but it could ruin your business. So why are a large proportion of salons so relaxed about it? As well as the legal implications, a client consultation is important for keeping a client’s record card up to date. After all, skin, hair and nails can change over time, and if your client has been visiting you for years then chances are they won’t be in the same condition as their first consultation. We have previously discussed the importance of creating a client database where we recommend the best practices in storing client information. 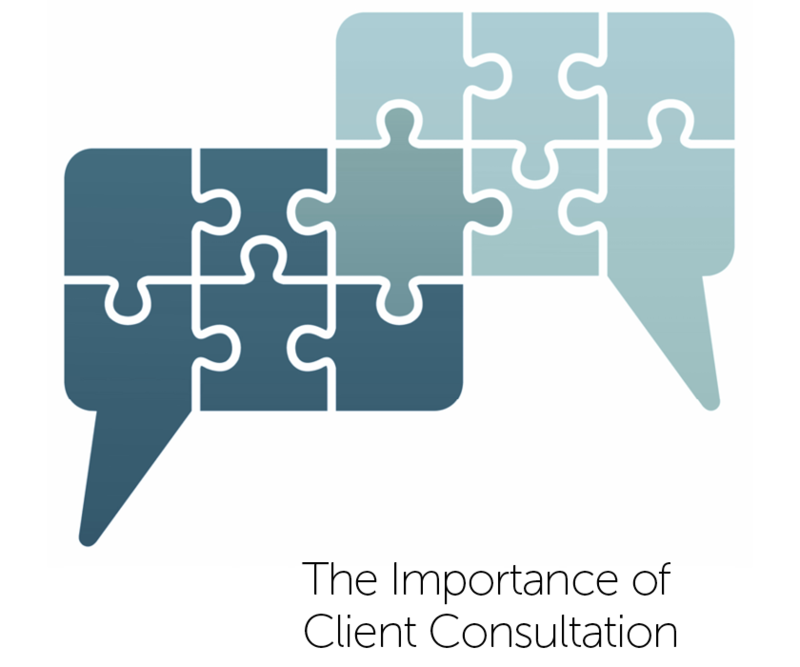 So what makes a good client consultation? If you are a hairdresser, tell them what you plan to do before you start working on them and make sure that the client understands what you are about to do. If you are a beauty therapist, make sure the client does not have any questions over what their treatment is going to involve. Put your clients at ease – from the first consultation to every one after that. How you talk to your client is just as important as what you are saying, so pay special attention to your tone and body language! As hairdressers and beauty therapists you are in a position of trust. Clients trust you with their most important information, and it is vital that this information is stored correctly. Not just from a client sensitivity point of view, but data protection is your responsibility and if it gets into the wrong hands a client is well within their rights to make a claim against you. Find this useful? Click here for more Salon Management tips.